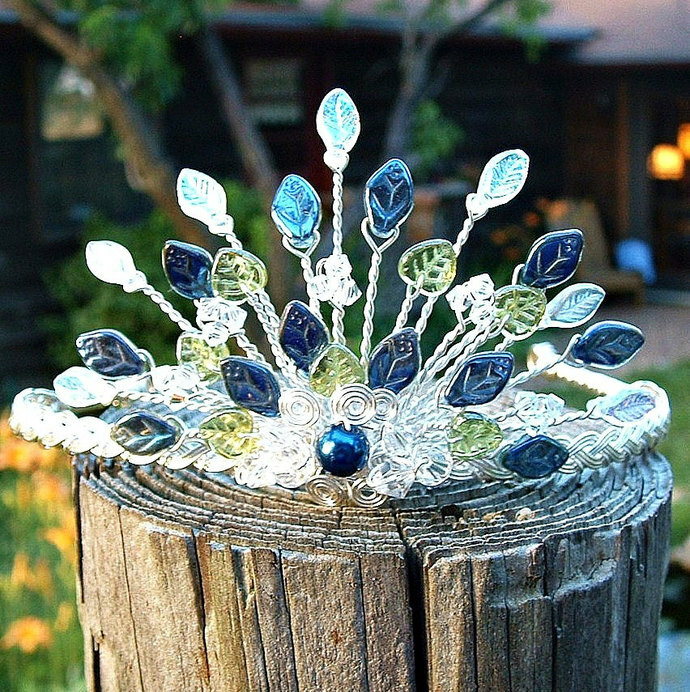 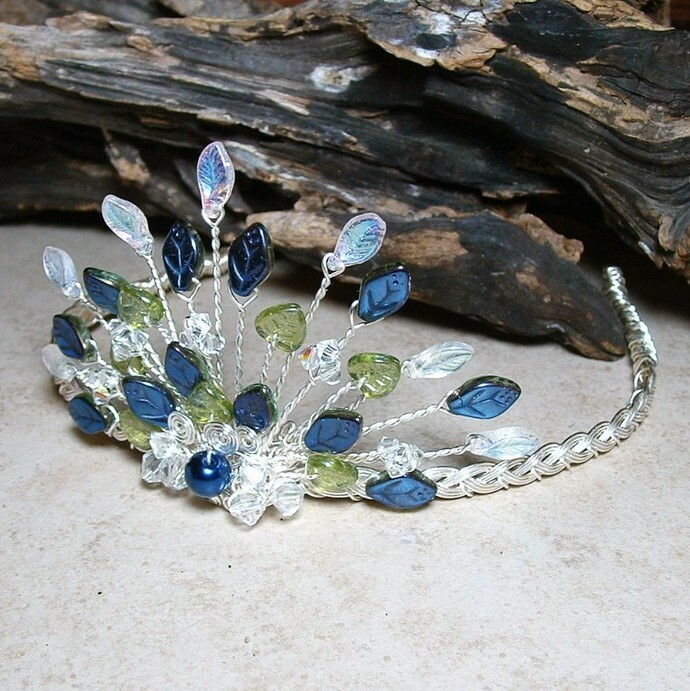 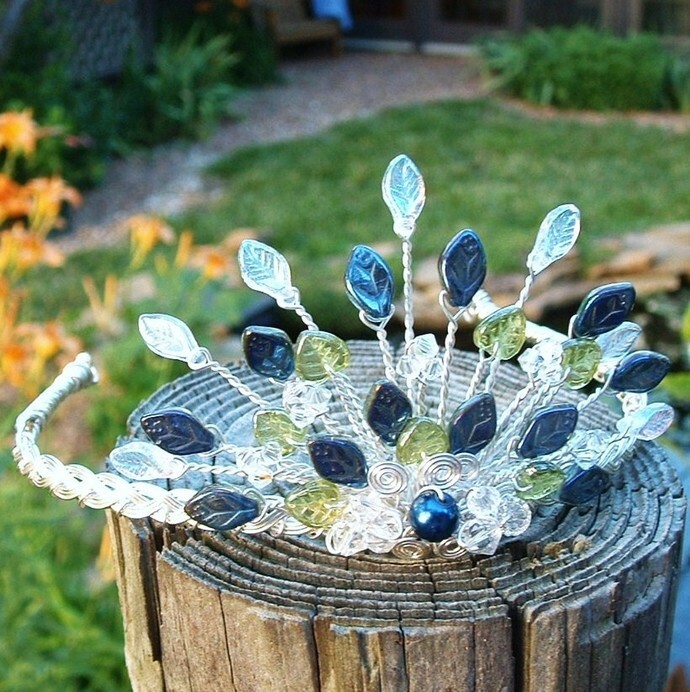 The Peacock Fan Tiara is a new design here at Thyme2dream..this is on a smaller Celtic band, (appx 7" around) and made to sit atop the head. 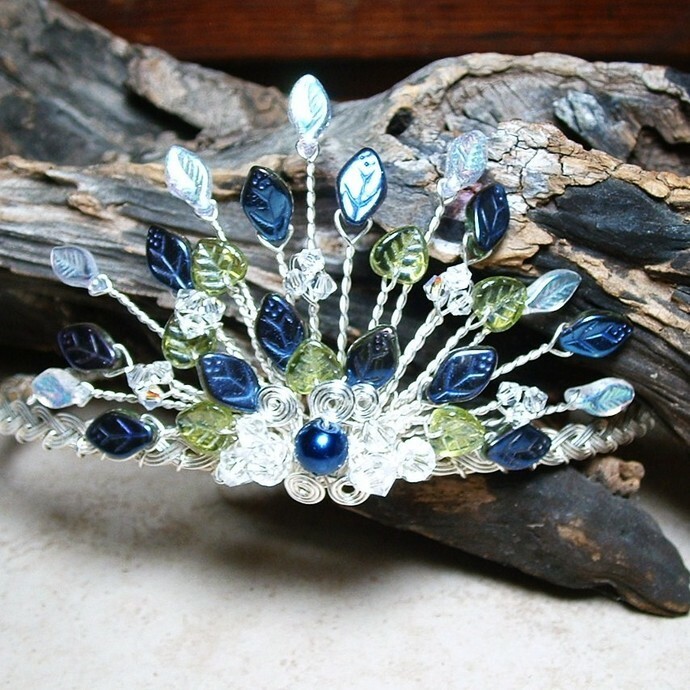 They look lovely worn as a traditional tiara, or in front of an updo. 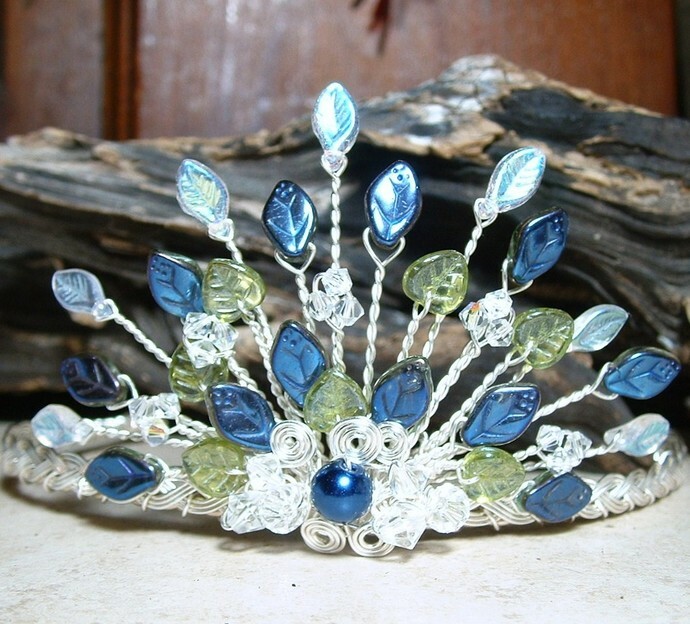 This one is made to match the Rivendell Spring collection but you may request custom colors at no extra charge:).